Patients set to undergo a course of radiotherapy are receiving on-the-spot education thanks to the work of a local cancer charity. 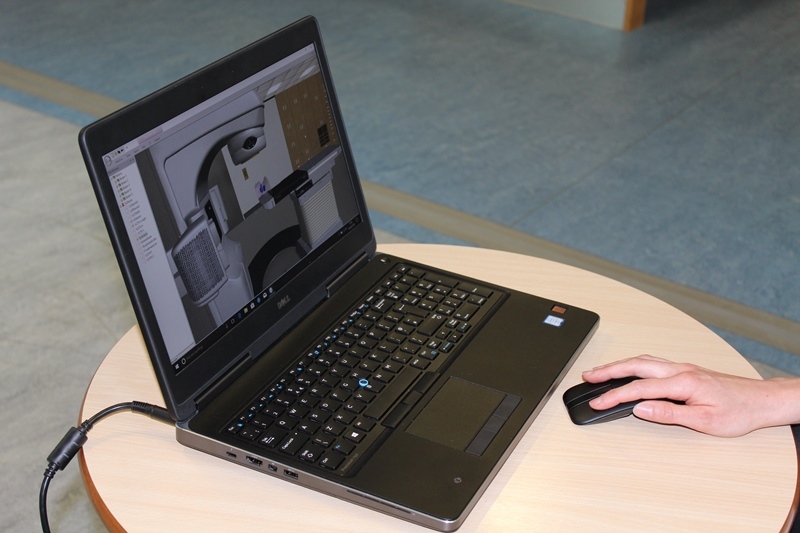 Team Verrico has purchased a state of the art laptop worth more than £1,850 for the radiotherapy team at Castle Hill Hospital in Cottingham. 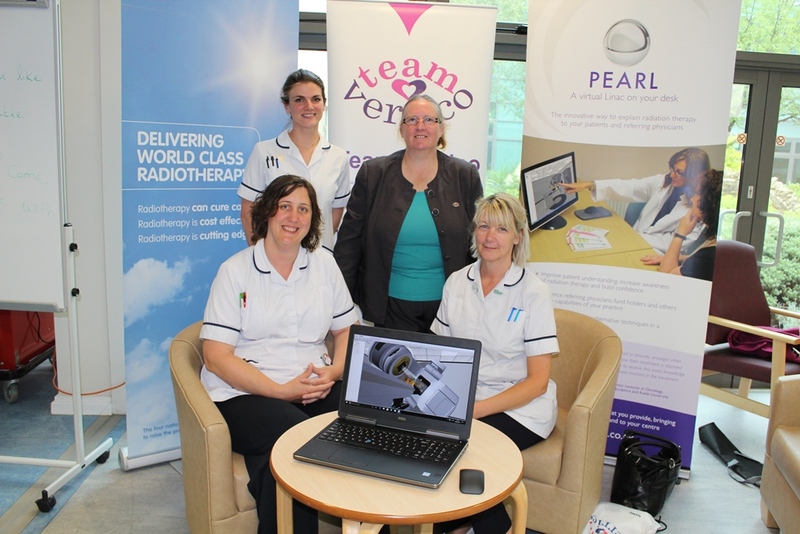 It is being used to run the Patient Education And Radiotherapy Learning (PEARL©) programme, and VERT© (Virtual Environment Radiotherapy Training); virtual reality software designed by Hull-based Vertual Ltd.
PEARL gives patients a virtual tour of a treatment room and the equipment used within it before their treatment begins. The software also allows patients to see how the radiotherapy is planned to target their cancer and minimise side effects. “Many patients can be worried or unsure what to expect when they’re told they need radiotherapy. “Not everyone has an in-depth knowledge of anatomy, so by using PEARL we are able to show our patients what the linear accelerator looks like, how and where on the body it will deliver their treatment, and even how it sounds, which can help to reduce anxiety massively. “Having this software on a high-tech laptop means we are able to move around the department to show patients what to expect, as well as on to wards and in to other health facilities to help with the training of staff, such as GP practice nurses and junior doctors. Over 170 patients receive radiotherapy treatment at the Queen’s Centre each day with courses lasting anywhere from 1 to 37 days depending on the patient’s individual circumstances. “It’s been a pleasure to help the radiotherapy team at the Queen’s Centre and hopefully many patients who will come through the doors too.